Lamar Odom’s Addiction Gets Worse: What is He Doing? What is Lamar Odom doing? That’s what his ex-wife, Khloe Kardashian would like to know. 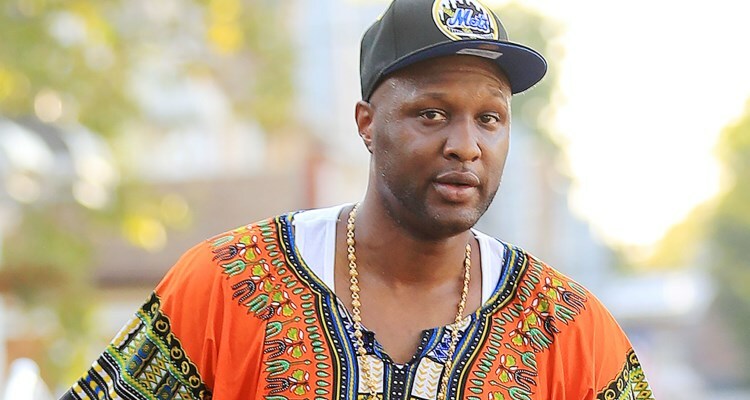 Phrases like, “Lamar Odom drugs,” Lamar Odom now,” and “Lamar Odom relapse” are being searched online, in order to find out the latest news about Lamar Odom’s addiction. Is he doing well or is he doing drugs? We’ve got the scoop. After last night’s episode of Keeping Up With the Kardashians, Khloe learns (and so do we) that Odom isn’t trying hard enough to take care of himself, following his near-fatal drug overdose. Fans will remember the episode starting off with Khloe talking about having anxiety about Odom’s well being. Whether he’s doing fine or having a relapse, she worries all the same. Odom told Khloe that he wanted to go to basketball camp but she was skeptical, because her ex hasn’t made an effort to train lately. Like everyone, Odom has good days and bad days, but Khloe seems to be out of options to help Odom. Her sister, Kim, even offered to have her husband Kanye West talk with him. This isn’t the first time that Odom has made negative news headlines: his father, Joe, publicly blamed the Kardashians for Lamar’s drug problems. Lamar quickly defended the reality stars and stated that they are the only family he has left. Lamar was in a four-day coma after his drug overdose at The BunnyRanch in Carson City, leaving Khloe to panic and imagine the worst about her ex-husband. We have to say, after dealing with Lamar’s drug issues, and being in the spotlight for Lamar’s mistakes, Khloe is quite possibly the most devoted ex-wife on the planet. But where is Lamar now and what is he doing lately? There have been headlines about Lamar allegedly caught on camera with pot in his hands—in broad day light! Whether this is true or not remains to be seen, but the negative media coverage certainly isn’t helping things. So far, it’s just speculation at this point, but Khloe confessed that Lamar’s only outcome is death if he doesn’t clean up his act and try to better himself. Let’s hope the basketball star can recover and make a comeback, but he’s got to make some serious changes first. For more on Lamar Odom and his former Delta airline debacle, click here!